My friend and fellow author, Rob Akers, has requested that I answer the following questions as part of a blog hop. Rob is currently flying the line as captain for a major air carrier and working on his first novel, which I eagerly await. I appreciate the opportunity to participate in the blog hop and discuss the interview questions. I predict great success for Rob’s writing career and encourage you to follow his progress at http://robakers.wordpress.com. Now, if I can just answer the questions with some degree of literacy we’ll be in business. Titles, like covers, are tough because they need to create immediate intrigue and also describe the essence of the story. The working title of my new project is Flight Grounded. My hope is that it will create curiosity as to why the flight is grounded and also convey that the book involves aviation. Don’t hold me to the title. It will probably change with each new chapter. The idea for all my books comes from the simple question, “What if.” I suppose that question is the basis for all fiction. As an airline captain, it was my responsibility to be prepared for all the, “What ifs.” What if an engine fails? What if a passenger has a heart attack? What if I have to land at the nearest airport? What if a rat named Mickey could talk. There are hundreds of, “What ifs,” and as a writer, I have the opportunity to answer the question in a hundred thousand words and title it Flight Grounded. Action, Thriller, Suspense, Mystery (no talking rats). The airline crew would include either Harrison Ford or John Travolta as captain. Both are experienced pilots and know the lingo as well as the routine. Hokey aviation movies nauseate me. The flight attendants would be a diverse group in age and experience, as most flight crews are in reality. What if an international airline flight, en-route from Paris to Mumbai, encountered an in-flight emergency while over-flying Iran, requiring an immediate landing, and subsequently finding themselves stranded as revolution against the government breaks out? That’s a terrible sentence, but a less terrible synopsis. If you plan to publish, will your book be self-published or published traditionally? 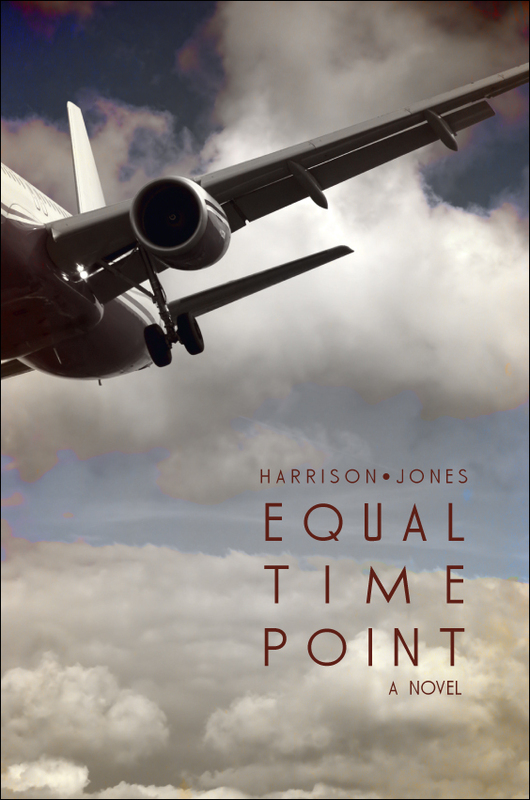 My first two books, Equal Time Point and Shadow Flight, took about six months to draft and a year to complete. In both cases the final product was approximately 20,000 words less than the first draft and several chapters were shuffled or eliminated. I don’t seem to be getting faster or smarter with experience. Aviation novels by John J. Nance and Thomas Block come to mind. While I lack their talent, I enjoy the challenge. My wife, Diane, is a genealogist and when I retired, she coerced me into writing an autobiography to include in our family history. I found that I enjoyed writing and she encouraged me to write a novel. She inspires me on many levels and in many ways. I think most readers would agree that the two main elements of a novel are plot and character development. I try to balance the two, but I find myself favoring the characters. The plot has a beginning and an end. Whatever mystery or suspense the plot presents is eventually resolved and it becomes finite. The characters, however, should live on in the reader’s mind long after the last page is turned. I personally do not enjoy reading an abundance of descriptive narrative, so I limit that verbiage as much as possible. If my characters have no interest in the color of the carpet, then I see no reason the reader would. If I keep my characters in scene and engaged, then hopefully the reader sees the world through their eyes. I mentioned before that hokey aviation scenes make me nauseous so I try to include realism and credibility as important ingredients. Aviation is exciting enough without interjecting impossible fantasy. Why does Mickey the rat wear those white gloves anyway? I hasten to add that Walt Disney was a Bazillionaire while my financial fate is somewhere in a holding pattern over nowhere. Maybe there is something to be said for fantasy. Now I have a great treat for you. Let me introduce you to fellow aviator/author/blogger, Karlene Petitt. 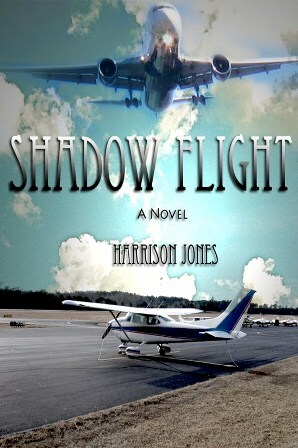 Karlene’s breakout novel, Flight for Control, is an absolute must read. 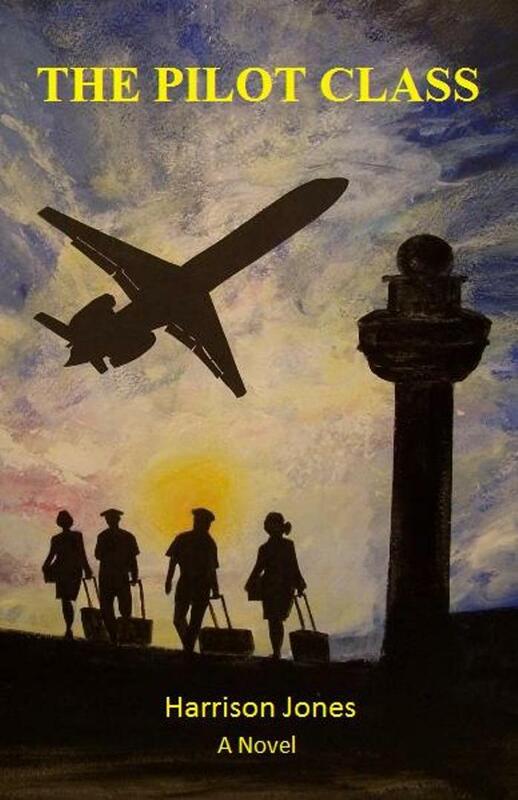 Karlene’s fresh perspective, (she currently pilots an Airbus for a major airline) and her talent for placing the reader in scene alongside the characters, is an experience you simply do not want to miss. The conclusion of each chapter left me looking for answers that I was sure I would find if I read just a few more pages. Don’t you just hate it when an author grabs your emotions and won’t let go. Check out Karlene’s blog at http://karlenepetitt.blogspot.com/ and we’ll get her perspective on The Next Big Thing, and maybe a preview of a new project. Harrison, you have a new reader! Thank you so much for including me in the ‘The Next Big Thing’ and for sharing your vast experience and talent with the world. I’m not only excited to read Flight Grounded, but your first two novels too! Happy Holidays to you and all your readers. You’re very welcome, Karlene. Fly safe and write fast.